The Okavango Panhandle is the main watercourse supplying the Okavango Delta. The Panhandle is the stretch of approximately 70km of the Okavango River, from where the river enters Botswana until it fans out into the alluvial plain of The Delta. 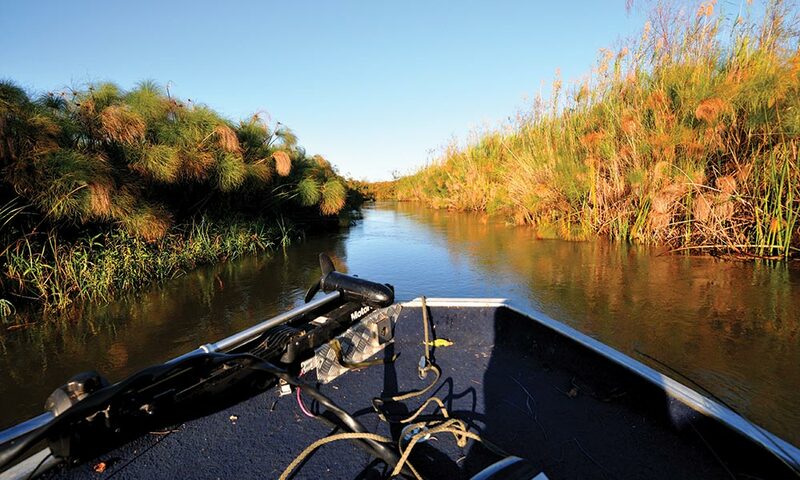 This is also the section of river that hosts the annual Okavango Bream Derby. We went fishing. 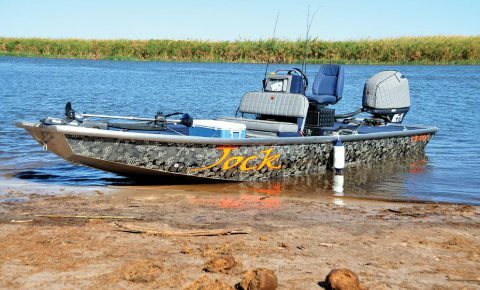 Driving more than 3 000km, with a heavy boat in tow, just to go fishing? You bet! That’s exactly why I recently reported at 4×4 accessory company Opposite Lock’s head office in Olifantsfontein, along with two other souls. Opposite Lock Africa was one of the sponsors of the 2017 Okavango Bream Classic, hosted on the Okavango River. 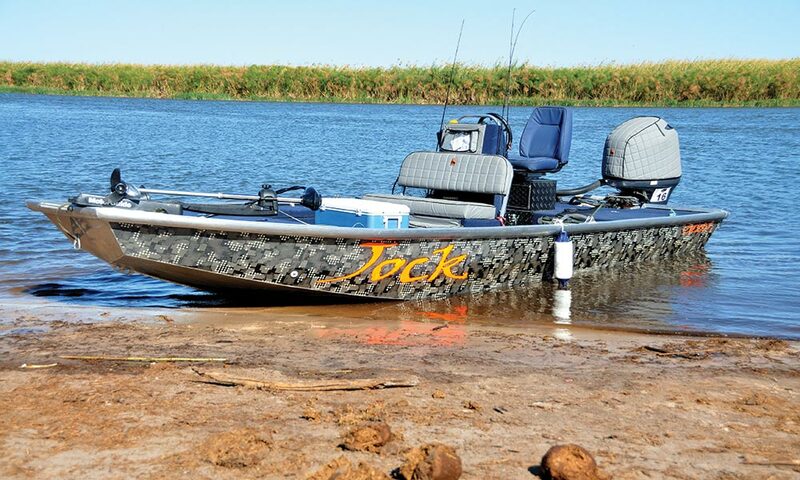 Opposite Lock, as well as one of their dealers in Botswana, High Range Safari City, had entered teams to compete in this ‘bucket list fishing competition’. 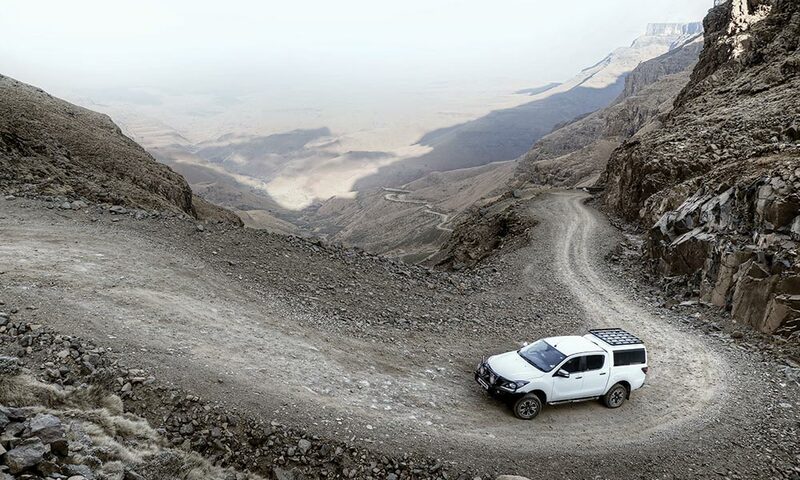 We were heading north in Opposite Lock (OL) frontman Darrell van Zeil’s Toyota Hilux 3.0D-4D 4×4 double cab. As expected, his bakkie is kitted to the hilt with OL gear, as well as some other kit, too. 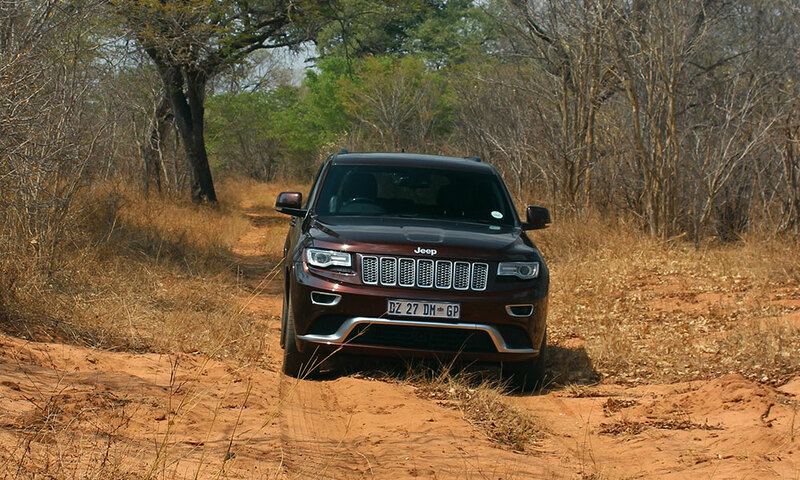 The first leg took us from Olifantsfontein to Gaborone, a distance of around 400km. Not long after we hit the road, though, we started hearing a knocking noise on the left rear side of the Hilux. We stopped a few times to have a peek but could not see anything untoward. 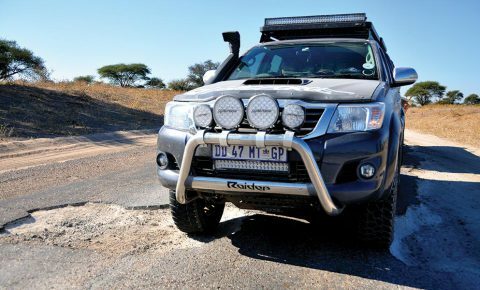 Arriving at High Range Safari City in Gaborone, we met Chris Thomson and Brendon Claassen and they quickly took the vehicle into their well-equipped 4×4 fitment centre, and fixed the problem. I immediately got the feeling that, with these guys on board, we were going to be in safe hands. We spent the night at the Town Lodge in Gaborone. 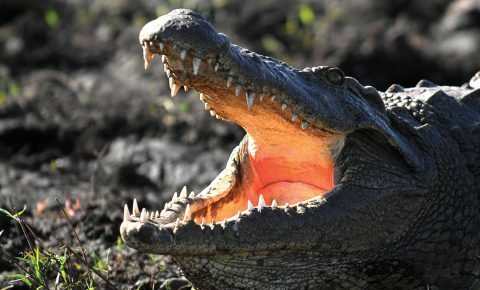 I can really recommend it as an overnight facility when travelling through Botswana. There is ample secure parking and it is situated directly opposite a big mall with excellent restaurants and other facilities. The next morning we had an early start. 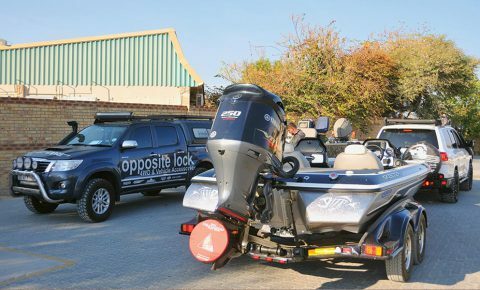 We left Gaborone at 4am with the Toyota Hilux and a Toyota Land Cruiser 200 VX towing two big, heavy boats: a 20-foot Skeeter FX 20 and a 23-foot Outback Aliboat, both on double axle trailers. 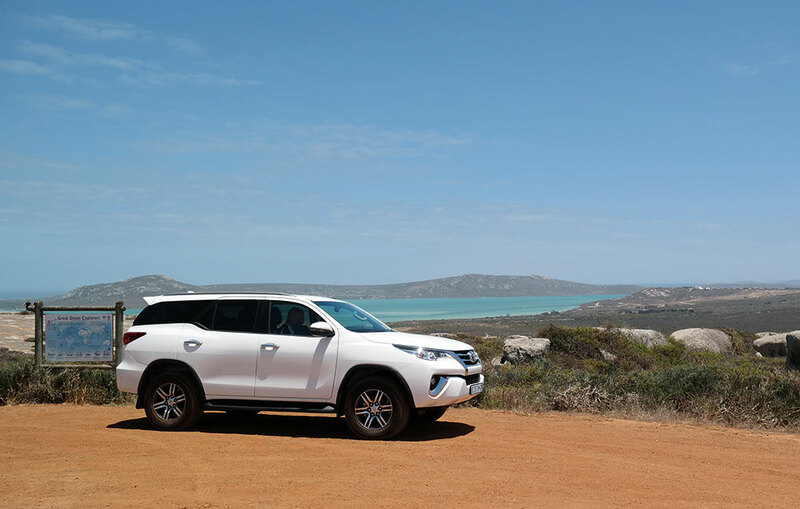 Our destination for the day was Ghanzi, a drive of 670km along the Trans-Kalahari Highway. 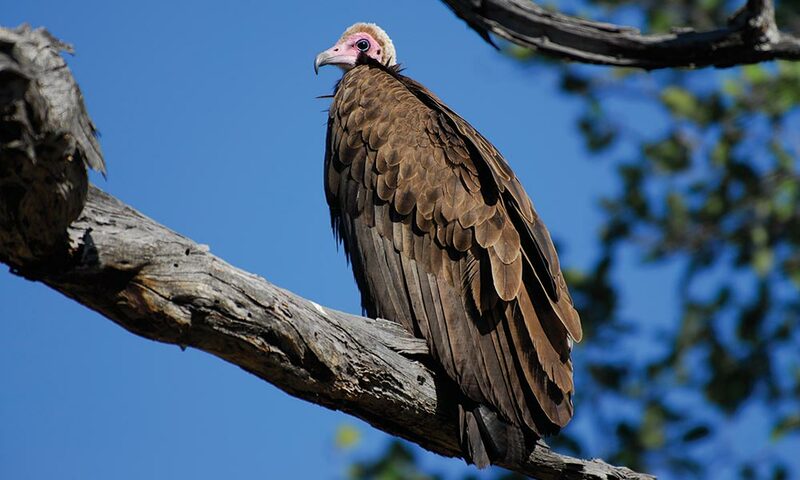 The Trans-Kalahari Highway runs across the southern section of Botswana, linking South Africa, Botswana and Namibia, opening up trade and tourist routes right across the southern continent. For one, it connects Johannesburg in South Africa to Windhoek in Namibia via 1 362km of tar road. It also means there is now a tar road from Johannesburg to Maun, a distance of 1 243km. The road is a single carriage tar road running through only a few villages with long stretches of nothing in between as it cuts across the southern Kalahari Desert depression. There are only a handful of places for fuel, food and accommodation along this route and you need to plan carefully. It is not advisable to drive this road at night as there are many wild animals as well as cows, donkeys, dogs and goats that wander onto and even sleep on the road.We stayed over at Ko Mogotlhong, a 20 000ha privately owned game ranch in the Ghanzi district. The friendly staff waited for us with welcome drinks and after they had shown us to our rooms, we were all whisked away on a game drive with sundowners at one of the many watering holes. That evening we were treated to the best and thickest cut T-bone steaks you can imagine. Beef production is the mainstay of Botswana’s economy as it represents the country’s third-largest income earner after diamonds and tourism. Ghanzi is the capital of the beef production region. There are three categories of land tenure in Botswana: tribal land, state land and freehold land. At independence 50 years ago, about 49% of the national land area was tribal land, less than 4% was freehold and the balance state land. Today, tribal land comprises 71% of the land area; freehold about 4.2% and state land the remainder. The majority of freehold agricultural land is around Pandamatenga and in the Ghanzi district. 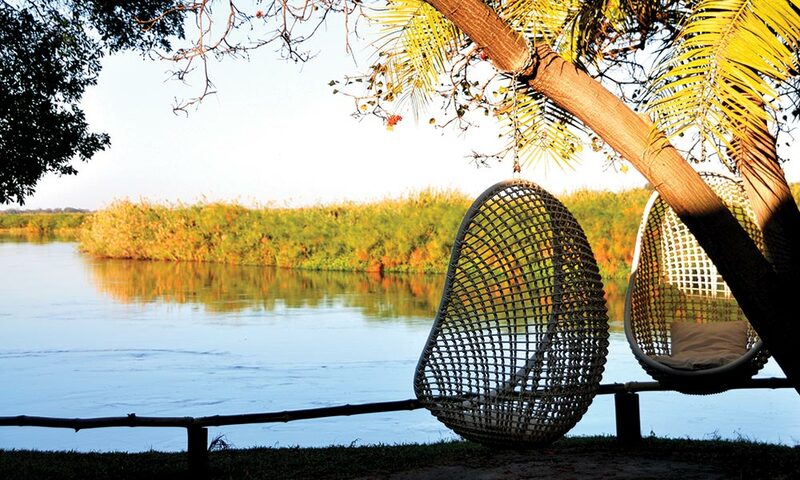 Early the next morning, we were woken by the welcoming sound of Botswana’s well-known red-billed francolins. 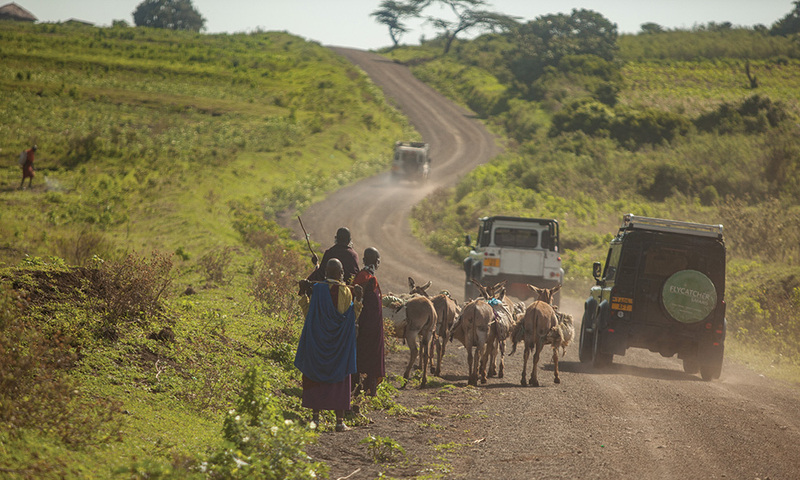 After a steaming cup of coffee, we left the farm at sunrise and headed for Shakawe, 460km away. 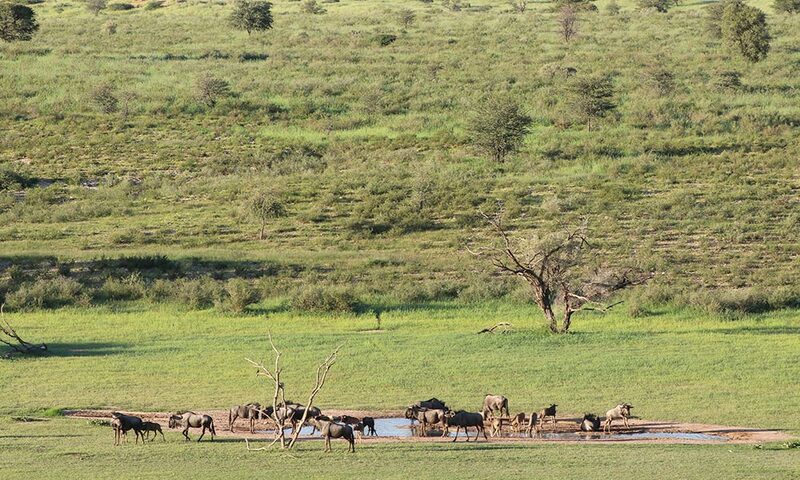 I was warned by Martin Slabbert, who had just returned from Angola with a Leisure Wheels safari group, that the 270km between Sehitwa and Shakawe is in a terrible state. A new bridge is in the process of being built over the Okavango River north of Shakawe and construction vehicles have absolutely destroyed the road. There are potholes upon potholes and for stretches it is better to drive on the gravel shoulder next to the road. We took it really easy and the Tough Dog suspension on the vehicles and the double axles on the trailers ensured a trouble-free ride. We arrived at Shakawe River Lodge just after 3pm. 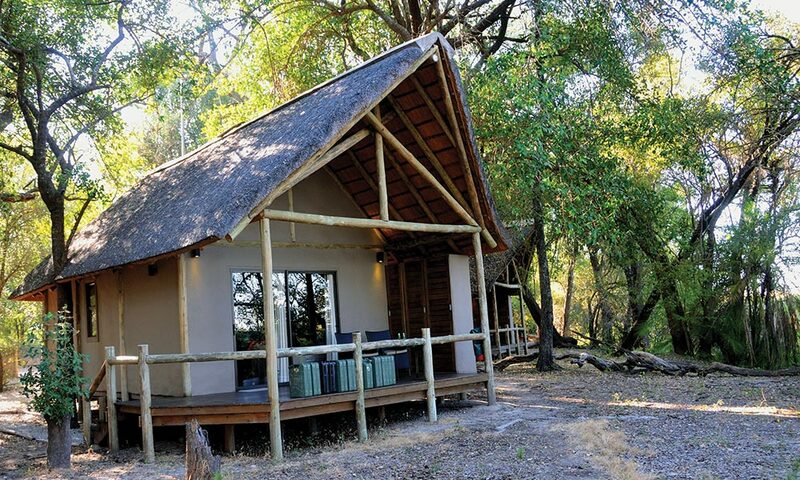 The lodge is situated in the panhandle region of the Okavango Delta which has now been listed as a World Heritage Site. We drove straight to the slipway in the already fully packed campsite to put the two boats in the water. Opposite Lock had booked us a few of the luxury thatched chalets on raised decks with en-suite facilities The chalets are situated under the canopy of magnificent riverine forest and all have a picturesque view of the Okavango with a river channel in front of them.The rest of the afternoon was spent fuelling and preparing the boats and getting fishing tackle ready for the competition. After a scrumptious dinner, everybody went to bed in preparation for an early start the next morning. The first day of the competition started at 7am and we were up and preparing the boats well before sunrise. The lodge supplied breakfast and lunch packs that needed to be collected as well as ice and drinks to hydrate the fishermen during the long hot day on the water. 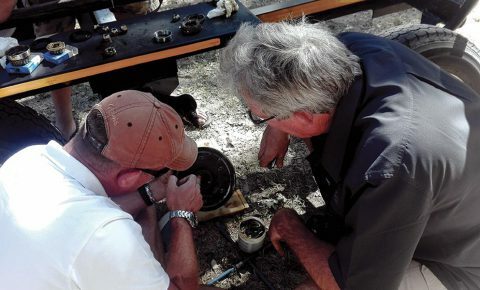 Each boat was inspected by the marshals before receiving a so-called ‘day sticker’ and ‘team tag’ and given the right of way to leave the jetties. It was icy cold and the horizon was a burnt orange colour as all the boats gathered at the buoy in the middle of the Okavango River. 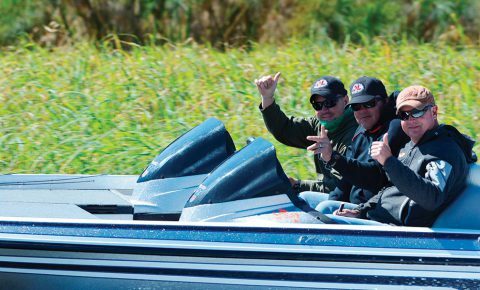 When the marshal blew his horn, instant organised pandemonium broke loose as 30 boats went on full throttle into different directions on the river to get to the best fishing spots first. The fishing was average and everybody had a different theory about this, ranging from dirty water to water temperature and overnetting of the river by the local fishermen in their mokoros. 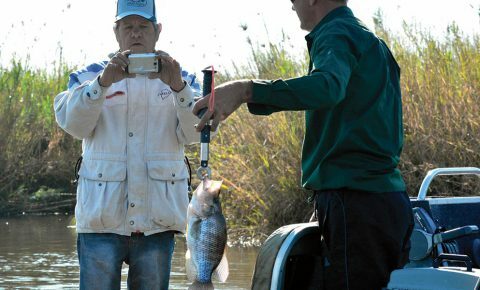 The really good and experienced fishermen, however, proved that with the right bait, correct technique and persistence, you can come back with good weight for the day.Thirty teams entered the competition and fishermen came from Namibia, Botswana and South Africa. The only species that could be weighed in was bream and it was strictly catch and release. Every team could weigh in a maximum of five live bream each day for two and a half days and only the team’s heaviest 10 fish counted towards their final weight. In an attempt to minimise the mortality and relocation of fish, a measuring mat was used on each boat to measure the fish. A continuous video was to be taken and the fish were released after weighing them. 8. Live release (swimming away on its own in its natural state – catches under 1.5kg). The winner of the 2017 Bream Derby was ESB Tigres, a team from Namibia, with a bag weight of 17.89kg. Team Induna from Mpumalanga came in second place with 14.91kg and the third place went to our High Range Team with Chris, Brandon and Darrell on board the Skeeter FX 20. Their bag weight was 13.703kg. All the participants enjoyed the pricegiving function and discussed fishing and fishing techniques into the early hours of the morning. Some guys believe only in jigs, others in copper Effzetts and then there were the mepps spinners and rapala enthusiasts. The best, of course, is to try all of them on different days and in different areas in the river. Piet du Toit from Kabula Lodge in Zambia once told me that the best bait for bream is still earthworms dipped in brandy and every now and then you can have a sip yourself to help fend off the early morning cold on the water. When we took the boats out of the water, we found that a wheel bearing on one of the trailers needed to be replaced. Chris Thomson came well prepared and he had all the necessary spare parts and grease. I realised again that when you are towing on the bad roads of Africa, it is always a good idea to carry one or two spare wheel bearing sets with you. Also make sure that you know how to replace them. 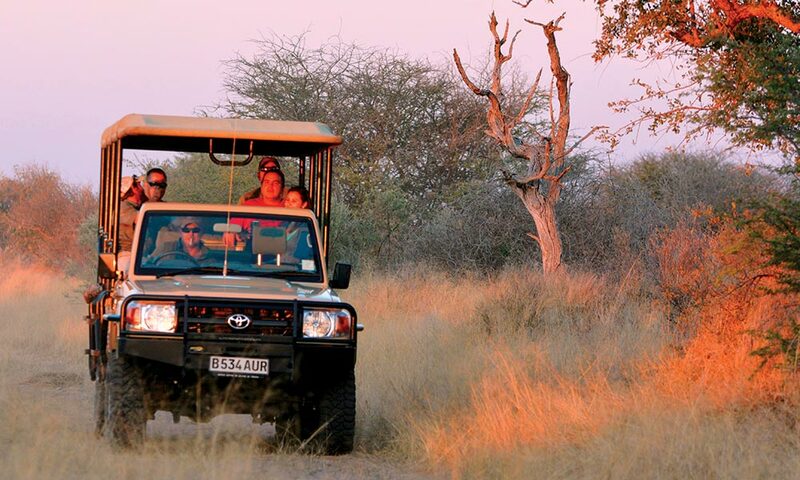 It was a team effort and in no time, we were ready to start our home journey via Ghanzi where we stayed over in the well-known Kalahari Arms Hotel. Ghanzi is known as the capital of the Kalahari and started out as a small hunting and trading post in 1870. The Kalahari Arms Hotel was one of the first businesses to be established there. According to some, the town was named after the Naro word describing the good condition of the antelope found in this part of Botswana. 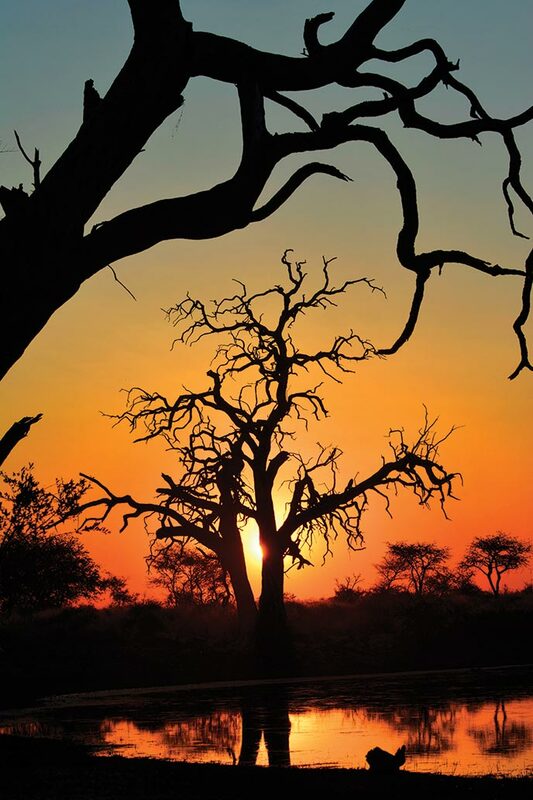 Today, Ghanzi is ideally situated just off the Trans-Kalahari Highway. We left the next morning at 6am on the final stage of our trip back to South Africa. One of the things that you must try to prevent as far as possible when driving in Africa is to drive in the dark. There are just too many animals on the roads. The Opposite Lock Toyota Hilux is fitted with the most amazing Lightforce LED light bars and spotlights and we decided to leave a bit earlier to see how they performed. Our conclusion was that when you do need to drive in the dark due to circumstances beyond your control, products like these are definitely the best option. Finally, after some more last-minute car drama, we landed up back home, in Olifantsfontein. It was an amazing trip, we were part of a fantastic team, we formed great new friend-ships and we’re already talking about putting a team together to participate in next year’s Elephant Charge (elephant-charge.org) in Zambia.